The Iya Foundation would like to extend appreciation to donors and everyone who has contributed to the Global Dialysis Initiative –Vascular Surgery Program. 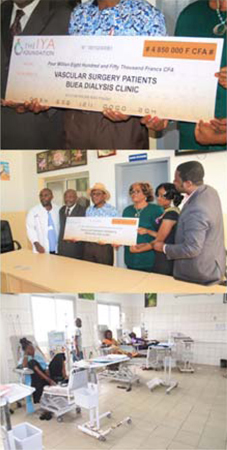 The Foundationin a press conference in Cameroon, Central Africa presented 5million francs cfa ($8,200) to the Buea Regional Hemodialysis Clinic to assist with 10 kidney failure patients. The funds will allow patients to get the vital vascular surgery for their dialysis therapies. As a part of this grant, these patients will also be able to receive the mandatory erythropoietin supplement that goes with treatment. It is easy and tax deductible. There are many ways to give: through a single gift, making an annual pledge, or participation in fundraising activities. We encourage an annual pledge, by filling out the attached form or simply donate through our website www.theiyafoundation.org or send us an email at the info@theiyafoundation.org. March 10th 2016 is World Kidney Awareness Day. 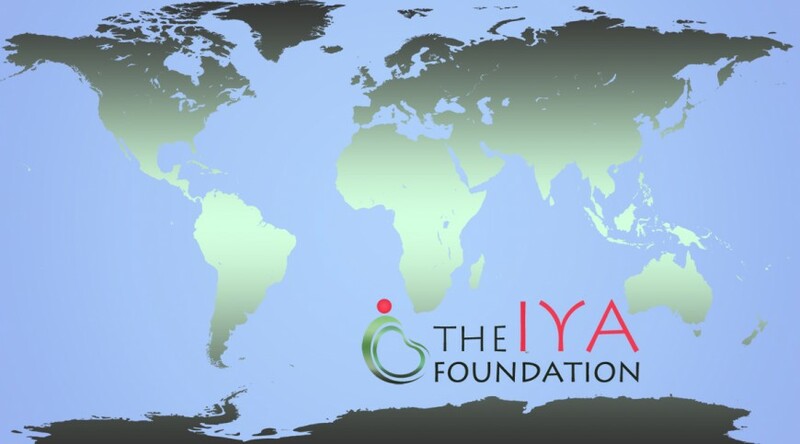 Please join the Iya Foundation to fight against kidney disease. Help us give someone hope. Visit our website www.theiyafoundation.org to purchase your Iya foundation t-shirt #Act4KIDNEYS. Don’t forget to ask for your free paragon pen or bumper sticker. Your Donation Saves Lives: Your support is very important to us and helps support our mission and vision. Your support funds programs that are critical to providing high level care to kidney disease patients.